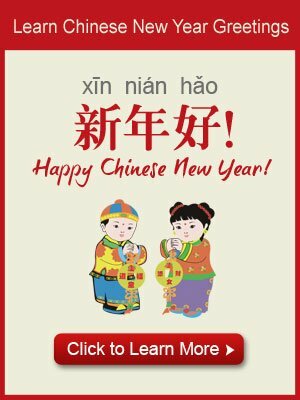 Here&apos;s a great collection of Chinese sayings and idioms with Chinese characters, pinyin pronunciation, and English translations and explanations, to help you learn and enjoy the Chinese language, while understanding Chinese people&apos;s attitudes, life, and values more deeply. Chinese people have traditionally been good at drawing lessons from the ordinary things of life. Below are some of the most common wisdom sayings that give practical life advice. The most time-honored and popular Chinese sayings present wisdom or a concept in short pithy idiom. Many have just four Chinese characters. 1. 不作不死。(Bù zuò bù sǐ. &apos;Not do not die.&apos;) — If you don&apos;t do stupid things you won&apos;t end up in tragedy. This Chinese web saying is recorded in the Urban Dictionary. It&apos;s like:"Don&apos;t poke the bear." 2. 塞翁失马，焉知非福。(Sài Wēng shī mǎ, yān zhī fēi fú. &apos;Sai Weng [legendary old man&apos;s name] lost horse, how know not blessing&apos;.) — Blessings come in disguise. According to the book "Huainanzi — Lessons of the Human World", an old man living in a border region lost his horse and people came to comfort him. But he said, "This may be a blessing in disguise, who knows?" Indeed, the horse later returned to the man and brought him a better horse. 3. 小洞不补，大洞吃苦。(Xiǎodòng bù bǔ, dàdòng chī kǔ.&apos;small hole not mend; big hole eat hardship&apos;) — If small holes aren&apos;t fixed, then big holes will bring hardship. This proverb tells us that if a trivial problem is not solved in time, it will become a serious and knotty one. Similar to: "A stitch in time saves nine." 4. 水满则溢。(Shuǐmǎn zé yì. &apos;water full but overflows&apos;) — Water flows in only to flow out. Similar to "what comes up must come down", this proverb points out that: things reverse when they reach their extremes. It&apos;s from the 18th century novel "A Dream of Red Mansions". 5. 读万卷书不如行万里路。 (Dú wànjuànshū bù rú xíng wànlǐlù. &apos;reading 10,000 books, not as good as walking10,000 li road&apos;) — It&apos;s better to walk thousands of miles than to read thousands of books. I.e. &apos;doing beats reading&apos; or &apos;experience beats theory&apos;. 6. 三个和尚没水喝。 (Sān gè héshàng méi shuǐ hē. &apos;three monks have no water to drink&apos;) — Too many cooks spoil the broth. I.e. if too many people try to do something, like three monks trying to carry one bucket of water, they make a mess of it. 7. 一笑解千愁。 (Yī xiào jiě qiānchou. &apos;one smile undoes 1,000 worries&apos;) — A smile dispels many worries. 8. 笑一笑,十年少。 (Xiào yī xiào, shínián shào. &apos;laugh,ten years younger&apos;) — Happiness is the best cosmetic. 9. 美名胜过美貌。 (Měimíng shèng guò měimào. &apos;beautiful name beats beautiful looks&apos;) — A good name is better than a good face. 10. 不善始者不善终。 (Bú shànshǐzhě bù shànzhōng. &apos;not good starter not good end&apos;) — A bad beginning makes a bad ending. 11. 大处着眼，小处着手。(Dàchù zhuó yǎn, xiǎochù zhuó shǒu. &apos;big points apply eye; small points apply hand&apos;) — Keep the general goal in sight while tackling daily tasks. This proverb advises us to always keep the overall situation in mind, and be far-sighted, while we set our hands to mundane business. 12. 一步一个脚印。 (Yībù yīgè jiǎoyìn. &apos;one step one footprint&apos;) — Every step makes a footprint. Work steadily and make solid progress. 13. 一个萝卜一个坑儿。 (Yīgè luóbo yīgè kēngr. &apos;one turnip one hole&apos;) — Each has his own task, and nobody is dispensable. I.e. "each to his own", "horses for courses", or "every kettle has its lid". 14. 留得青山在，不怕没柴烧。 (Liú dé qīngshān zài, búpà méi chái shāo. &apos;remain green hills present, not fear no firewood burn&apos;) — While there are green hills, there&apos;ll be wood to burn. I.e. "Where there is life, there is hope." 15. 一鸟在手胜过双鸟在林。 (Yī niǎo zài shǒu shèng guò shuāng niǎo zài lín &apos;one bird in hand beats pair birds in forest&apos;) — A bird in the hand is worth than two in the bush. 16. 人无完人，金无足赤。(Rén wú wánrén, jīn wú zúchì. &apos;man lackperfect man; gold lack enoughred&apos;) — No man is a perfect man; no gold is sufficiently bare. It is as impossible to find a perfect man as it is to find 100 percent pure gold.I.e. "no-one&apos;s perfect". 17. 千军易得, 一将难求。 (Qiānjūn yìdé, yī jiang nánqiú. &apos;thousand army easy obtain; one general hard request&apos;) — It is easy to find a thousand soldiers, but hard to find a good general. This proverb notes the difficulty of finding an outstanding leader. 18. 宰相肚里好撑船。 (Zǎixiànɡ dùlǐ hǎo chēnɡchuán. &apos;prime minister stomach inside good-to pole boat&apos;) — A prime minister&apos;s mind should be broad enough for poling a boat. 19. 难得糊涂。 (Nándé hútu. &apos;hard get confusion&apos;) — Ignorance is bliss. Or:"Where ignorance is bliss, it&apos;s folly to be wise." 20. 祸从口出。 (Huò cóng kǒu chū. &apos;disaster from mouth exits&apos;) — Disaster comes from careless talk. 21. 三人一条心，黄土变成金。(Sānrén yìtiáoxīn, huángtǔ biàn chéng jīn. &apos;three people one heart; yellow earth become gold&apos;) — If people are of one heart, even loess can become gold. This proverb tells us that as long as people are unified, any goal can be achieved. 22. 身正不怕影子斜。(Shēnzhèng búpà yǐngzi xié. &apos;body straight not fear shadow slanting&apos;) — One who stands straight doesn&apos;t fear a crooked shadow. Similar to: "A straight foot is not afraid of a crooked shoe." i.e. A righteous man is not afraid to seem unrighteous. 23. 有借有还，再借不难。(Yǒu jiè yǒu huán, zài jiè bùnán. Have loan have repayment; again loan not hard.) — Timely return of a loan makes it easier to borrow a second time. 24. 蜡烛照亮别人，却毁灭了自己。 (Làzhú zhàoliàng biérén, què huǐmiè le zìjǐ. &apos;candle illuminates others, yet destroys itself&apos;) — A candle lights others and consumes itself. This refers to self-sacrifice for the benefit of others. 25. 种瓜得瓜, 种豆得豆。 (Zhòngguā dé guā, zhòngdòu dé dòu. &apos;sow melons reap melons; sow beans reap beans&apos;) — You reap what you sow. This proverb warns that one receives just returns for one&apos;s actions; good for good, and evil for evil.It&apos;s similar to the Biblical: "…whatsoever a man soweth, that shall he also reap." 26.欲速则不达。 (Yù sù zé bùdá. &apos;Desire speed but not attain.&apos;) — Those who just want speed don&apos;t succeed. Rare as true love is, true friendship is rarer. Chinese people have always thought very highly of friendship, so there are many old sayings about it. 1. 近水知鱼性, 近山识鸟音。 (Jìn shuǐ zhī yúxìng; jìn shān shí niǎoyīn. &apos;near water know fish shape, near mountain know bird sound&apos;) — To know a fish go to the water; to know a bird&apos;s song go to the mountains. This verse from &apos;Expanding Virtue Literature&apos; (增广贤文) teaches that to know someone you should go to his or her home. 2. 听君一席话，胜读十年书。(Tīng jūn yīxíhuà, shèng dú shíniánshū &apos;hear gentleman remarks, beats reading ten year books&apos;) — Listening to a lord&apos;s remarks is better than reading books for ten years. 3. 凡人不可貌相, 海水不可斗量。 (Fánrén bù kě màoxiàng, hǎishuǐ bù kě dòuliàng. &apos;mortals can&apos;t judge by appearance, sea water can&apos;t cup measure&apos;) — Man cannot be judged by looks; seas cannot be measured by cup. In short:"don&apos;t judge by appearances". 4. 有缘千里来相会。(Yǒuyuán qiānlǐ lái xiānghuì. &apos;Have fate 1,000 li [or a long way] together meet&apos;) — Fate brings people together from far apart. This proverb espouses that human relationships are decreed by fate. 5. 君子之交淡如水。 (Jūnzǐ zhī jiāo dàn rú shuǐ &apos;gentleman&apos;s friendship bland like water&apos;) — A gentleman&apos;s friendship is insipid as water. 6. 入乡随俗。 (Rù xiāng suí sú &apos;enter district follow custom&apos;) — When entering a locality follow the local customs. Like: "When in Rome, do as the Romans do." 7. 患难见真情。 (Huànnàn jiàn zhēnqíng &apos;Hardship see true situation&apos;) — In hardship we see true friendship. Similar to: "A friend in need is a friend indeed." 8. 知音难觅。 (Zhīyīn nánmì. &apos;soul mate hard find&apos;) — An intimate friend is hard to find. 9. 广交友，无深交。 (Guǎng jiāoyǒu, wú shēnjiāo. &apos;widely make friends, no deep friendship) — Numerous friends means no deep friendship. 10. 道不同，不相为谋。 (Dào bùtóng, bù xiāng wéi móu. &apos;principles different, not harmonious for schemes&apos;) — Men of different principles don&apos;t work well together. 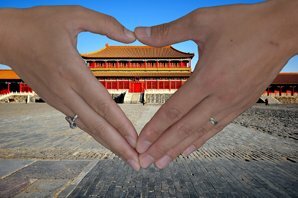 Love is an eternal theme for sayings, and it&apos;s no different in China. Here are some Chinese idioms about love and romance. These old sayings usually espouse love or commitment to love. 1. 一见钟情。 (Yíjiàn zhōngqíng. &apos;one look fall-in-love&apos;) — Love at first sight. 2. 愿得一人心，白首不相离。(Yuàndé yīrénxīn, báishǒu bùxiānglí. &apos;wish get a person heart, white head not one-another apart) — Long for a heart, never be apart. 3. 执子之手，与子偕老。 (Zhí zǐ zhī shǒu, yǔ zǐ xiélǎo. &apos;grasp your hand, with you grow-old-together) — Hold hands with you, grow old with you. Like 2., this expresses lifelong commitment in love. 爱不是占有，而是欣赏。 (Ai bú shì zhànyǒu, ér shì xīnshǎng. &apos;love isn&apos;t having, but is appreciating&apos;) — Love isn&apos;t about having, it&apos;s about enjoying (what you have). 4. 爱屋及乌。(Ai wū jí wū. &apos;love house and crow&apos;) — Love the house and its crow. 5. 萝卜青菜，各有所爱。 (Luóbo qīngcài, gè yǒu suǒ ài. &apos;radishes greens, each have that-which loves&apos;) — Radishes and greens, each have those who love them. 6. 在天愿作比翼鸟，在地愿为连理枝。 (Zài tiān yuàn zuò bǐyìniǎo, zài dì yuàn wéi liánlǐzhī. &apos;in sky wish be fly-wing-to-wing birds; on earth wish be grow-together branches.) — Birds flying in the sky as one; branches growing on the earth as one. This is a wish for conjugal bliss. 7. 有情人终成眷属。 (Yǒuqínɡrén zhōnɡ chénɡ juànshǔ. &apos;in-love people finally become spouses&apos;) — People in love become spouses in the end. I.e. Love will find a way. 8. 情人眼里出西施。 (Qínɡrén yǎnlǐ chū xīshī. &apos;lover eye inside appears Xishi [name; foremost of the Four Legendary Chinese Beauties]) — In a lover&apos;s eye is the foremost Beauty. 9. 爱之深，责之切。(Ài zhī shēn zé zhī qiē. &apos;love&apos;sdeep, discipline&apos;s cutting&apos;) — Love deep, chastise deep. This is the Chinese proverb for "tough love". 10. 有情饮水饱，无情食饭饥。 (Yǒuqínɡ yínshuǐbǎo, wúqínɡ shífànjī. &apos;Have affection drink water full; no affection eat food hungry&apos;) — With love water is enough; without love food doesn&apos;t satisfy. It&apos;s similar to Proverbs 15:17 — "Better is a dinner of herbs where love is, than a stalled ox and hatred there with." 1. 月到中秋分外明，每逢佳节倍思亲。 (Yuè dào zhōngqiū fènwài míng, měi féng jiājié bèi sīqīn. &apos;moon reach Mid-Autumn exceptionally bright, every holiday multiply homesick&apos;) — The harvest moon is brightest; every festival homesickness multiplies. Familial longing is greatest in China on its traditional family reunion festivals, like Mid-Autumn, the harvest moon festival. More of the meaning behind this saying is revealed in Mid-Autumn Festival&apos;s Traditions. 2. 儿行千里母担忧。 (Er xíng qiānlǐ mǔ dānyōu. &apos;son travels 1,000li [a long way; 500 km] mother worries&apos;) — When children travel far, mothers worry. 3. 但愿人长久，千里共婵娟。(Dànyuàn rénchángjiǔ, qiānlǐ gòngchánjuān. &apos;Yet wish personlong-time, 1,000 li [a long way; 500 km] share moon[beauty]&apos;) — Wishing us long life, though sharing moonlight from afar. This poetic verse expresses (familial) love and homesickness, andis one of many Popular Mid-Autumn Festival Sayings. 4. 家和万事兴。 (Jiāhé wànshìxīnɡ. &apos;family harmonious everything prospers&apos;) — If a family is harmonious everything will go well. It&apos;s like the Biblical: "if a house be divided against itself, that house cannot stand." 5. 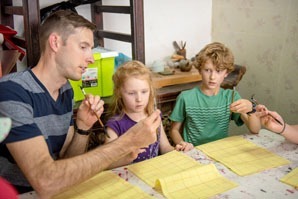 家家有本难念的经。 (Jiājiā yǒu běn nán niàn de jīnɡ.&apos;Every-family has own difficult remembered experience.&apos;) — Every family has its problems. Or: "There&apos;re skeletons in every family&apos;s closet." 6. 清官难断家务事。 (Qīnɡɡuān nán duàn jiāwùshì. &apos;honest-official difficult judge household affairs. )—Even an upright official finds it hard to settle a family quarrel. 7. 有其父，必有其子。 (Yǒuqífù，bìyǒuqízǐ. &apos;have his father, must have his son&apos;) — Where there&apos;s a father, there&apos;s his son. I.e. "Like father, like son." 8. 家丑不可外扬。 (Jiāchǒu bù kě wài yánɡ. &apos;family shame can&apos;t outside propagate&apos;) — Family shames must not be spread abroad. I.e. "Do not wash your dirty linen in public." 9. 不当家，不知柴米贵。 (Bù dānɡjiā，bù zhī cháimǐ ɡuì. &apos;Not manage household, not know firewood rice precious&apos;) — If you don&apos;t run the family, you don&apos;t know the value of fuel and rice. He who heads a family knows the responsibility. 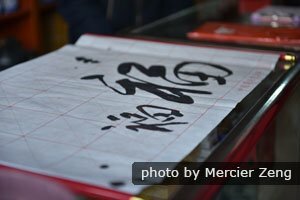 10.金窝，银窝，不如自家的狗窝。 (Jīnwō, yínwō, bùrú zìjiā de ɡǒuwō. &apos;gold nest, silver nest, not-as-good-as own family&apos;s kennel&apos;) — Gold and silver nests can&apos;t beat one&apos;s family kennel. I.e. "East, west, home is best." Positive phrases that make us visualize success are the foundation of moral. In Chinese, there are many old sayings to encourage others to continue (to work hard) despite (or because of) the trials of life. 1. 冰冻三尺，非一日之寒。 (Bīngdòng sān chǐ, fēi yīrì zhī hán. &apos;freeze 3 chi[3 chi = 1 meter], not one day&apos;s cold&apos;) — It takes more than one cold day for a river to freeze a meter deep. This means: "Rome wasn&apos;t built in a day." I.e. If you keep working you&apos;ll achieve your goal. 2. 机不可失，时不再来。(Jī bùkě shī, shí búzài lái. &apos;Opportunity can&apos;t lose, time not again come&apos;) — Don&apos;t miss opportunities: time doesn&apos;t come round again. I.e. Things always get easier if you persevere. 5. 失败是成功之母。(Shībài shì chénggōng zhī mǔ. &apos;failure is success&apos;s mother&apos;) — Failure is the mother of success. 6. 只要功夫深，铁杵磨成针。 (Zhǐyào gōngfū shēn, tiěchǔ mó chén gzhēn. &apos;just need effort deep, iron rod grind become needle&apos;) — It just needs hard work to grind an iron rod into a needle. This proverb encourages us to persevere to succeed. 7. 水滴石穿，绳锯木断。 (Shuǐ dī shí chuān, shéng jù mù duàn. &apos;water drop stonepierce, rope saw wood cut-off&apos;) — Water drops pierce stone; rope saws cut wood. Patience and persistence can break through anything, no matter how great the difficulty. Similar to Ovid&apos;s "Dripping water hollows out stone, not through force but through persistence." 8. 一日之计在于晨。 (Yīrì zhī jì zàiyú chén. &apos;a day&apos;s plan lies in dawn&apos;) — A day&apos;s planning is done at dawn. I.e. make your plans early, or get up early, as this will affect the whole day/undertaking. 9. 千里之行，始于足下。(Qiānlǐ zhī xíng, shǐyú zúxià. 1,000-li [500 km or a long way] journey, start with foot down.) — A thousand-li journey starts with a footfall. 10. 否极泰来。 (Pǐ jí tài lái. &apos;evil extreme peace come&apos;) — Peace replaces extreme evil. 11. 青出于蓝而胜于蓝。 (Qīng chūyú lán ér shèngyú lán. &apos;green come-from blue moreover surpasses blue&apos;) — Green is from blue, and better than blue. This is used to describe when a disciple has surpassed his master. 12. 老骥伏枥，志在千里。 (Lǎojì fúlì, zhì zài qiānlǐ. &apos;old warhorse lie stable, ambition at 1,000 li [500 km; a long way]) — An old warhorse in the stable still longs to gallop a thousand li. This describes one who still cherishes high aspirations in spite of age. Or: "You&apos;re never to old to live your dream." 13. 吃得苦中苦，方为人上人。 (Chī dé kǔzhōngkǔ, fāng wéi rénshàngrén. &apos;eat gain pain in pain, method for man on man&apos;) — Enduring deepening pain is how man ascends. I.e. "No pain, no gain." 14. 先到先得。 (Xiān dào xiān dé. &apos;first arrive first get&apos;) — The first to arrive is the first to succeed. I.e. "the early bird catches the worm." 15. 守得云开见月明。 (Shǒu dé yún kāi jiàn yuèmíng. &apos;keep-watch gain cloud open see moonlight&apos;) — Watch till clouds part to see moonlight. I.e. "Every cloud has a silver lining" or trouble will pass. 16. 逆境出人才。 (Nìjìng chū réncái. &apos;adversity produces talented-person&apos;) — Adversity yields flair. 17. 吃一堑，长一智。(Chī yīqiàn, zhǎng yízhì. &apos;eat a moat, grow a wisdom&apos;) — Suffer a moat, grow in wisdom. Having gone through a setback, one will have gained experience and wisdom, which will be useful if only one can take warning and learn something from the setback. "A fall in a pit, a gain in your wit." 18. 不能一口吃成胖子。(Bùnéng yīkǒu chī chéng pàngzi. &apos;can&apos;t one mouthful eat become fat-person&apos;) — You can&apos;t get fat with one mouthful. I.e. Some things aren&apos;t accomplished in a moment. Don&apos;t give up! 19. 风无常顺，兵无常胜。(Fēng wú chángshùn, bīng wú chángshèng. &apos;wind not always favorable; soldiers not always win&apos;) — Wind isn&apos;t always favorable; soldiers aren&apos;t always victorious. This proverb urges us to be fully prepared for difficulties and setbacks: it is impossible to have smooth sailing all the time. 20. 星星之火，可以燎原。 (Xīngxīng zhī huǒ, kěyǐ liáoyuan. &apos;star&apos;s fire, can shine far&apos;) — Starlight shines far. Translated as: "A single spark can start a prairie fire." Seemingly small actions have far-reaching consequences. 21. 哀兵必胜。 (Āibīng bì sheng. &apos;sorrowful soldiers must win&apos;) — An aggrieved army is sure to win. It means an army burning with righteous indignation is bound to win. The Chinese have always attached importance to study, so there are also many idioms to promote study. 1. 书是随时携带的花园。(Shū shì suíshí xiédài de huāyuán. &apos;book is at-all-times carried garden&apos;) — A book is a pocket garden. 2. 活到老，学到老。(Huó dào lǎo, xué dào lǎo. &apos;live till old, study till old.) — Live till you&apos;re old, and study till you&apos;re old. 3. 好书如挚友。(Hǎoshū rú zhìyǒu. &apos;good book as-good-as close-friend&apos;) — A good book is like a good friend. 4. 一寸光阴一寸金，寸金难买寸光阴。(Yícùn guāngyīn yícùnjīn, cùnjīn nán mǎi cùnguāngyīn. &apos;1 cun [Chinese inch, 1/30 m] time 1 cun gold, cun gold difficult buy cun time&apos;) — An inch of time is worth an inch of gold, but an inch of gold may not buy an inch of time. I.e. time is money, but it&apos;s difficult to buy time. 5. 好记性不如烂笔头。(Hǎojìxìng bù rú lànbǐtóu. &apos;good memory not-as-good-as rotten pen&apos;) — A good memory can&apos;t beat a bad pen. 6. 花有重开日，人无再少年。 (Huā yǒu chóng kāi rì, rén wú zài shào nián. &apos;flower has again open day, people no again youth&apos;) — Flowers may bloom again; you&apos;re never young again. I.e. don&apos;t waste your time. 7. 学而不思则罔，思而不学则殆。(Xué ér bùsī zé wǎng, sī ér bùxué zé dài. &apos;study but not think then deceive, think but not study then dangerous&apos;) — Learning without thought is deceptive; thought without learning is perilous. 8. 书到用时方恨少。 (Shū dào yòngshí fāng hènshǎo. &apos;books till use time just-when hate few&apos;) — When using books, you&apos;ll regret reading few. This proverb reminds us that we can never read widely enough. 9. 读书须用意，一字值千金。 (dúshū xū yòngyì, yīzì zhí qiānjīn. &apos;reading books needs use attention, one word worth 1,000 gold&apos;) — Reading requires concentration; a word may be worth a fortune. This proverb stresses the fact that study requires undivided attention. No single word should be passed over before we fully understand it. Only in this way can study be rewarded. 10. 严师出高徒。 (Yánshī chū gāotú. &apos;strict teacher produces brilliant-student&apos;) — Strict teachers produce fine students. Proverbs are eloquent and tell the naked truth in a quick turn of phrase, and so make excellent literary devices. Here are 30 literary quotes most frequent used in Chinese daily life. 1. 事实胜于雄辩。 (Shìshí shèng yú xióngbiàn.) — Facts beat eloquence. From Lu Xun&apos;s "Hot Wind" (鲁迅《热风题记》, it&apos;s like, "Actions speak louder than words." 2. 一言既出，驷马难追。(Yìyán jì chū, sìmǎ nán zhuī. &apos;a word already produced, team-of-4-horses difficult chase&apos;) — A team of horses struggle to chase a spoken word. 3. 路遥知马力，日久见人心。(Lùyáo zhī mǎlì, rìjiǔ jiàn rénxīn. &apos;road distant know horse strength, days old see man heart&apos;) — As distance tests a horse&apos;s strength, time reveals a person&apos;s character. From the anonymous work "Fight Gratitude" (《争报恩》) of the Yuan Dynasty (1279–1368), when Mongol horsemen ruled China, this saying tells us that a long period of testing is needed to understand someone&apos;s nature and capabilities. 4. 无规矩不成方圆。(Wú guīju bù chéng fāngyuán. &apos;no standards not become perimeter&apos;) — Without standards no boundaries are set. From the works of Mencius and his students (《孟子·离娄上》), it means: nothing can be accomplished without norms or standards; or: without rules, we&apos;re nothing but savages. 5. 惩前毖后。 (Chéngqiánbìhòu. &apos;punish before prevent after&apos;) — Punish those before to prevent those after. From "Sacrificial Odes of Zhou" (《周颂》) in the Confucian classic "Book of Songs" (《诗经》), it means: to criticize former mistakes firmly to prevent them happening again; or: learn from past mistakes to avoid future ones. 6. 三思而后行。 (Sānsī ér hòu xíng. "three thoughts and after act") — Think thrice before you act. From "The Analects"(《论语》), tt&apos;s like: "Look before you leap." 7. 良药苦口。 (Liángyào kǔ kǒu &apos;goodmedicine bitter mouth&apos;) — Good medicine tastes bitter. It means: frank criticism is hard to swallow. 8. 有理走遍天下，无理寸步难行。(Yǒulǐ zǒubiàn tiānxià, wúlǐ cùnbù nánxíng. &apos;have truth walk all land-under-heaven; no truth cun [Chinese inch; 1/30 m] step difficult walk&apos;) — With truth on your side, you can go anywhere; without truth, you can&apos;t take a step. From the philosophical work "White Horse Thesis" (白马论) by Gong Sunlong (公孙龙), this stresses the fact that righteousness will see you through all difficulties, whereas without it your progress will be hampered from the very start. 9. 当局者迷，旁观者清。(Dāngjúzhě mí, pángguānzhě qīng. &apos;player confused; spectator clear&apos;) — The player is lost; the watcher is lucid. From the "Biography of Yuan Xingchon" in the Old Book of Tang (《旧唐书·元行冲传》), this points out that a person involved in a matter usually does not have a comprehensive overview of it, due to too much concentration on the details, while the onlookers, who have a calmer and more objective attitude, have a better grasp of what is going on. 10. 十年树木，百年树人。 (Shínián shù mù, bǎinián shù rén. &apos;10 years cultivate wood, 100 years cultivate man&apos;) — Ten years to cultivate wood,a hundred years to cultivate a man. From the work of Guan Zhong(《管子·权修 第三》) who&apos;s a politician in Spring and Autumn Period, it means that (though 10 years to grow a tree that&apos;s ready to be used as wood is a long time,) a person&apos;s education is a life-long process, or most time-consuming. 11. 民以食为天。 (Mín yǐ shí wéi tiān. Subjects think food is heaven.) — Food is the first priority of the people. From "Records of the Grand Historian" (《史记》), it means &apos;hunger breeds discontent&apos;, and it&apos;s full form is "王者以民人为天，而民人以食为天。" — &apos;Kings treat the people as heaven, moreover people treat food as heaven.&apos;… meaning a ruler&apos;s first priority is his subjects; the subjects first priority is food. 12. 善有善报。 (Shàn yǒu shànbào. &apos;good have good recompense&apos;) — Repay good with good. From the Southern Dynasties work "New Wine and Meat" (《新酒肉文》) by Emperor Wu of Liang(464–549), it means: virtue has its rewards; or: one good turn deserves another. 13. 顾左右而言他。(Gù zuǒyòu ér yán tā. &apos;deliberately approximate and talk something-else&apos;) — Deliberately vague and deflective. From the part of King Hui of Liang in the Book of Mencius(《孟子·梁惠王下》), it means to be vague and illusive under questioning. 14. 几家欢喜几家愁。(Jǐjiā huānxǐ jǐjiā chou. &apos;few families happy few families worried&apos;) — While some are happy, some are anxious. It means: one man&apos;s disaster is another man&apos;s delight. 15. 人过留名，雁过留声。(Rén guò liúmíng, yàn guò liúsheng. &apos;man passes leaves name, swallow passes leaves sound&apos;) — A person leaves a reputation, as a swallow leaves its call. From the 32 chapter of Legend of Heroes (《儿女英雄传》), it means that someone&apos;s reputation is easily remembered. 16. 万事俱备，只欠东风。(Wànshì jù bèi, zhǐ qiàn dōngfēng. &apos;all ready, only lack east wind&apos;) — Everything&apos;s ready except the east wind. From the "Romance of the Three Kingdoms" (《三国演义》), this means that everything is ready except what is crucial. 17. 麻雀虽小，五脏俱全。(Máquè suī xiǎo, wǔzàng jù quán. &apos;sparrow although small, five organs entirely complete&apos;) — Small as it is, the sparrow has all the vital organs. From Qian Zhongshu&apos;s work "Fortress Besieged" (《围城》), it means that although something looks small, it&apos;s content is very comprehensive. 18. 桂林山水甲天下。(Guìlín shānshuǐ jiǎtiānxià. Guilin mountains-and-water best under-heaven) — Guilin&apos;s scenery&apos;s best on earth. It was written by Song Dynasty governor of Guilin, Wang Zhenggong (王正功,1133–1203) as part of a poem in 1201, and has been so often quoted in Chinese culture that Guilin has become the image of scenic beauty in China. 19. 哑巴吃饺子，心里有数。 (Yǎba chī jiǎozi, xīnlǐ yǒushù. 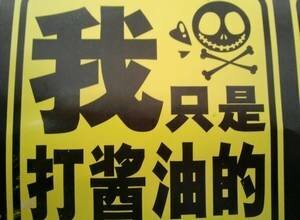 &apos;mute eats dumplings, heart inside has number&apos;) — When a mute eats dumplings, he knows how many he has eaten. This is used to point out that someone knows the situation quite well, yet says nothing… as is common in Chinese culture. Chinese tend to keep their thoughts to themselves… see more on Chinese and Western Thought. 20. 人逢喜事精神爽。 (Rén féng xǐshì jīngshén shuǎng. &apos;man meet happy-occasion spirit invigorated&apos;) — A happy occasion gladdens the spirit. From "Journey to the West" (《西游记》), it means that everyone likes a happy occasion. 21.一举两得。(Yī jǔ liǎng dé. &apos;one move two gains&apos;) — Two benefits from one action. Varously attributed to "History of the Later Han Dynasty" (c. 200), "The Book of Jin" (420), "Stories to Caution the World" (1624, Feng Menglong), and Lu Xun&apos;scollected letters, this is the Chinese version of "to kill two birds with one stone (一石二鸟。Yīshíèrniǎo. &apos;one stone two birds&apos;), possibly of Ovid. 22. 如坐针毡。 (Rú zuò zhēnzhān. &apos;like sit needle felt&apos;) — Like sitting on a carpet of needles. It means to feel tense and uneasy. 23. 逆来顺受。 (Nì lái shùn shòu. &apos;adversity come follow receive&apos;) — When adversity comes, receive it favorably. It means to take things as they come. 24. 化干戈为玉帛。 (Huà gāngē wéiyùbó. &apos;change shield spear for jade silk&apos;) — Replace weapons with jade and silk. From the first chapter of the "Huainanzi"(《淮南子·原道训》), i.e. to "bury the hatchet" and work for peace. 25. 此地无银三百两。 (Cǐ dì wú yín sānbǎi liǎng. &apos;this ground no silver 300 taels&apos;) — This ground doesn&apos;t have 300 taels of silver. It comes from a folk story about a man who buried a lot of silver and, because people suspected that&apos;s what he had done, put up a sign saying, "300 taels of silver are not in this ground." His neighbor King Two then stole the silver and put up a sign saying: "Your neighbor King Two did not steal it." It means to reveal what one intends to hide, i.e. don&apos;t try to prove what people suspect, or you&apos;ll make your guilt still more obvious. 26. 兵不厌诈。 (Bīng bù yàn zhà.) — Soldiers don&apos;t hate deceit. 27. 木已成舟，生米煮成熟饭。 (Mù yǐ chéng zhōu, Shēngmǐ zhǔ chéng shúfàn. &apos;timber already become boat;raw rice boiled into cooked rice&apos;) — The timber&apos;s already a boat; the rice is cooked. It means: what&apos;s done cannot be undone. 28. 身体力行。 (Shēn tǐ lì xíng. &apos;body physical-strength acts&apos;) — A body acts according to physical strength. From the "Huainanzi"(《淮南子·原道训》), it means: practice what you preach. 29. 大智若愚。 (Dàzhì ruò yú. &apos;great wisdom seem stupid&apos;) — Great wisdom can seem foolish. From "Laozi"(《老子》), it means: great intelligence may appear to be stupidity, and is sometimes used to describe a situation where "he knows most who speaks least". 30. 捷足先登。 (Jiézú xiān dēng. &apos;quick foot first climb&apos;) — The quick footed climb first. From the Historical Records(《史记》), i.e. "first come, first served", or "the early bird gets the worm", this is the old version of "先到先得"(Encouragement 14.). Dragons are found in many aspects of Chinese culture, including sayings. Chinese dragons are seen as lucky and good — quite different to dragons in most Western stories. 1. 龙飞凤舞。 (Lóng fēi fèn gwǔ. &apos;dragon flies phoenix dances&apos;) — The dragon flies and the phoenix dances. It refers to a flamboyant style of calligraphy, and writing devoid of content. 2. 龙马精神。 (Lóng mǎ jīngshén. &apos;dragon horse spirit&apos;) — A dragon&apos;s and a horse&apos;s spirit. It refers to a vigorous spirit in old age. 3. 鱼龙混杂。(Yú lóng hùnzá. &apos;fish dragons muddle mix&apos;) — A muddled mix of fish and dragons. It refers to crooks mixed in with honest folk. 4. 龙腾虎跃。 (Lóng téng hǔ yuè. &apos;dragon soars tiger leaps&apos;) — Dragons soaring and tigers leaping. It refers to a scene of bustling activity. 5. 车水马龙。 (Chē shuǐ mǎ long. &apos;carriage water horse dragon&apos;) — Carriages like a stream and horses like a dragon. It refers to a scene of heavy traffic (Chinese dragons have very long bodies). 6. 龙潭虎穴。 (Lóng tán hǔ xué. &apos;dragon pool tiger cave&apos;) — A dragon&apos;s pool and a tiger&apos;s den. It refers to a very dangerous spot. 7. 画龙点睛。 (Huàlóngdiǎnjīng. &apos;paint dragon dot eye&apos;) — Paint a dragon and dot the eye. It refers to adding the vital finishing touch; the crucial point that brings the subject to life. 8. 叶公好龙。 (Yè Gōng hào long.) — Lord Ye loves dragons. It refers to someone who pretends to like something that he really fears. 9. 鲤鱼跳龙门。 (Lǐyú tiào lóng mén. &apos;carp jump dragon gate&apos;) — A carp has jumped the dragon&apos;s gate. It refers to someone who has successfully past the civil service examination. 10. 强龙难压地头蛇。 (Qiáng lóng nán yā dìtóu shé. &apos;strong dragon difficult suppress local snake&apos;) — Even a dragon struggles to control a snake in its native haunt. This means: powerful outsiders can hardly afford to neglect local villains. See useful phrases for traveling China and their translations in our Chinese Phrasebook.